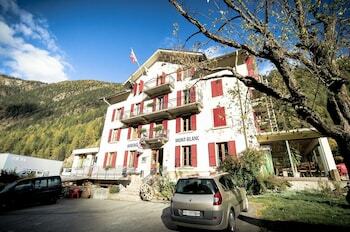 When you stay at Auberge du Mont-Blanc in Trient, you'll be in the mountains and steps from Swiss Alps. Featured amenities include complimentary newspapers in the lobby and multilingual staff. Free self parking is available onsite. With a stay at Easy Living Business Apartments in Lucerne (Littau), you'll be within a 10-minute drive of Lucerne Town Hall and Chapel Bridge. Self parking (subject to charges) is available onsite. With a stay at Youth Hostel Valbella in Vaz-Obervaz, you'll be a 1-minute walk from Swiss Alps and 12 minutes by foot from Valbella Ski Lift. Self parking (subject to charges) is available onsite.